It is well accepted that concretes having the same Slump test can show a large variation of viscosity. Complete characterization of complex fluids can be achieved with the new RheoCAD thanks to a mechanical computer-controlled device and calibration to obtain stress and strain rate with absolute units. 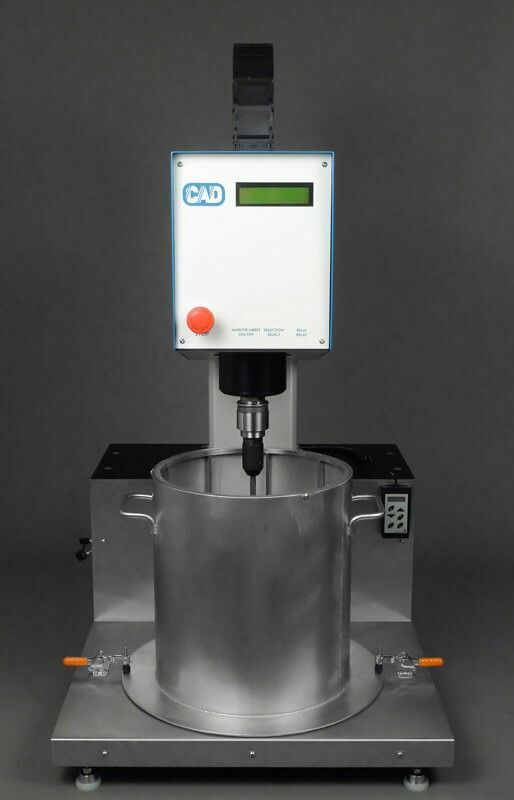 The RheoCAD 500 offers the best performances of sensitivity with a wide shear rate range for measurement of a broad variety of fluid and slurries. The RheoCAD500 measures torque versus speed with multiple programming possibilities to obtain the best rheograms. A drive unit control system can be programmed for your particular application.